I ran a sold-out conference last year called Accelerate. It's Canada's largest clinic business summit where hundreds of clinic owners attended. We talked about everything from getting new clients with digital and doctor marketing, patient experience operations, commanding higher prices, selling your clinic and more. What came up is that clinic owners said their #1 problem was recruitment and management of staff. Staff today are more difficult to manage than ever before, especially millennials. So It’s essential to have proven reward strategies in place to maximize their results and get the most out of them. 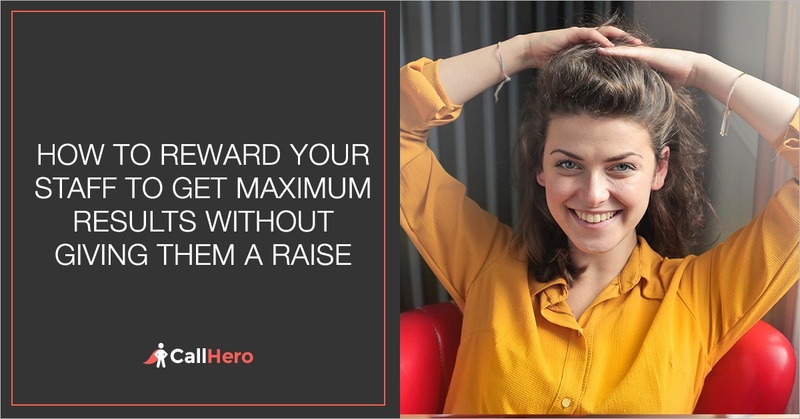 In this blog post, I’ll teach you the best 28 reward strategies my team and I have discovered from working with 100s of clinic owners to reward your staff to get maximum results from them when you can't afford to give them a raise. You just finished treating a patient and have a few minutes to grab a bite to eat before your next patient. So you walk over to grab a quick snack and get a drink. As you’re eating you overhear a call with a potential new patient. The patient was pretty much ready to book but just had some general questions like whether their first visit was covered by insurance. The caller says “I’ll call you back” and hangs up without your front desk even asking for an appointment! Your blood is boiling and you want to shout at your front desk. Especially since competition is fierce with all the new clinic startups and you can’t afford to lose any more patients. Plus you spent all your hard earned money on advertising to get them to call… only to lose them because your front desk forgot to ask for the appointment. I see this problem all the time when we are training the front desk and it’s one of the top phone objections they face. However, there’s a proven and highly effective script I give to all my clients and what clients pay me thousands to train their front desk to increase their booking rate. Allowing you to book more patients, increase your revenue, and stop those patients from going to your competitors instead. I talk about it inside my brand new training tool kit “How to Book a Patient When They Say I Will Call You Back.”. You can get it by clicking here. Many front desk staff just don’t realize they’re causing your clinic to lose patients by making these small but costly mistakes. Whether you do Chiropractor marketing, Physical Therapy marketing, or Healthcare marketing it’s expensive. You can’t afford to waste money because of mistakes that can be easily corrected in a minute. When I speak at high ticket seminars and consult with clinic owners. They ask me this question all the time. “My front desk are good workers and I don’t want to lose them because it’s difficult to find good people. But I see mistakes they make all the time on the phone that drives me crazy. I want to tell them but I’m afraid they’ll hate me for it or quit. 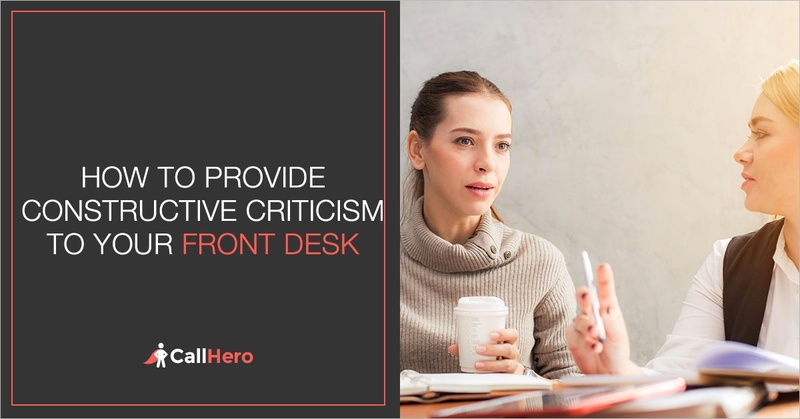 In this article, I’m going to reveal a simple Oreo Cookie Approach to providing constructive feedback that will make your front desk respect and love working for you. When you provide constructive feedback in this way. You’ll have happier staff, book more appointments, and increase your bottom line. How was your sales last month? Was it a record month? 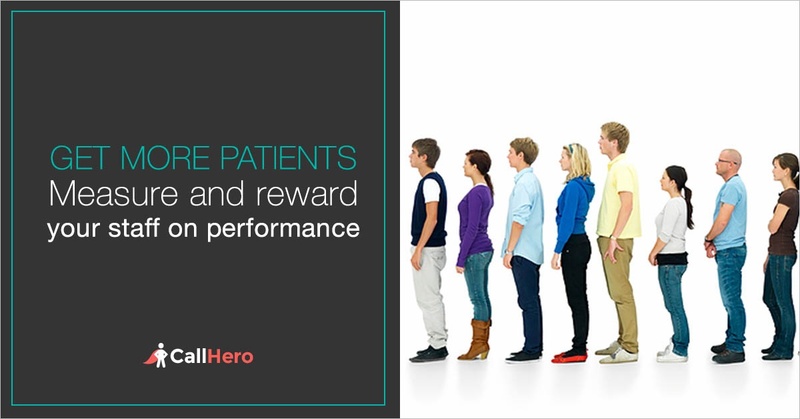 With record amounts of new patients booked into your schedule? Or, were you on flat on patient bookings, as usual? We focused on client happiness - I spent two whole days with my leadership team discussing how we could accelerate our client’s happiness. We focused on gaining metrics - we discussed how we could get more clients to give us a 9 or 10 on our Net Promoter Score. We mapped out the customer journey - from the very first touch point through the lifecycle of the client. I really got pumped to DOUBLE DOWN on customer happiness after learning from INBOUND marketing conference in Boston. There was over 19,000 marketers there!!! So even if you have good numbers, you should never stop learning how to make those numbers better, so your competitors can't catch up. This includes always learning how to make your hiring and training process better - because your team, especially your front desk, play a great role in the customer happiness journey. So today I want to share how you can hire and train your front desk staff to supercharge your customer happiness, and therefore, supercharge your business growth. A new trend occurring in hiring front desk staff that has the potential to increase patient bookings and revenue, fast. Big, hairy, audacious goals - the type of goals that separate great companies from the rest. These types of goals can be a little scary, even for the most experienced business leaders. But they are the type of goals that make your business 10 times more successful. What I am about to share with you here may seem like a big, hairy, audacious goal — nurturing the career of your front desk team and rewarding them with bonuses or experiences. Every year your front desk team asks for a performance review and a raise and you give them the raise without really doing a proper performance review. You know if you don't, they’ll quit and then you’ll have to retrain another person all over again, which is going to cost you even more (in both money and time). Unfortunately, most front desk positions turnover every 2 or 3 years, so you’re always thinking — the longer you can hang onto them the better. That’s exactly why I’m going to challenge you to take on the big, hairy, audacious goal of nurturing the career of your front desk team and rewarding them with bonuses. Once you know all this, you won’t lose your front desk team members, ever. Are you ready to take on the audacious challenge? In my 10 year career being at the forefront of running and growing one of the largest network of rehab clinics in Canada, I’ve worked with hundreds of therapists, front desk staff, managers, cross functional teams, and executives. 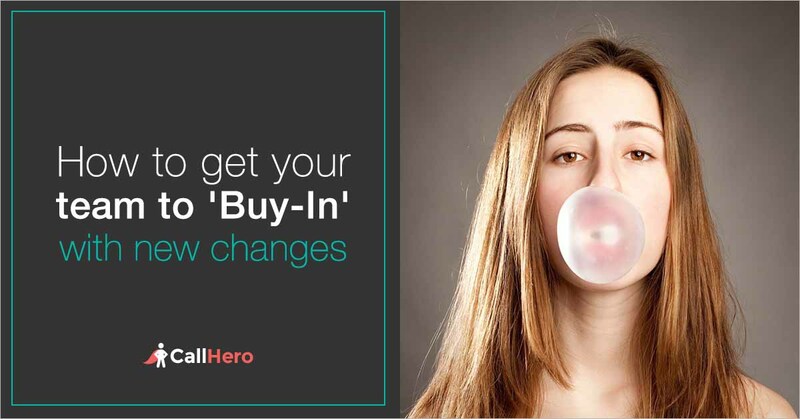 Regardless of the roles I was working with, “buy-in” from staff is the key to making permanent change in the business. The success of any cost saving or revenue growth strategy hinges on one key attribute, the ability to execute with your teams. Yet, quite often I speak to clinic owners that are very clear on the strategy and tasks they want to implement but are challenged on how to speak to their staff about the upcoming change, get them to “buy-in”, adequately train them, start and keep it going, and ultimately, make the change long lasting. The result for many is an initiative that starts but eventually stops, then starts and stops again, eventually ending in some type of workaround. If you can't get your team motivated to integrate the changes you intend to implement, your plans to grow your business end in dismal failure. Of course, that's not what you want. That's why we're here to discuss how you can overcome these challenges and influence long lasting change in your business.